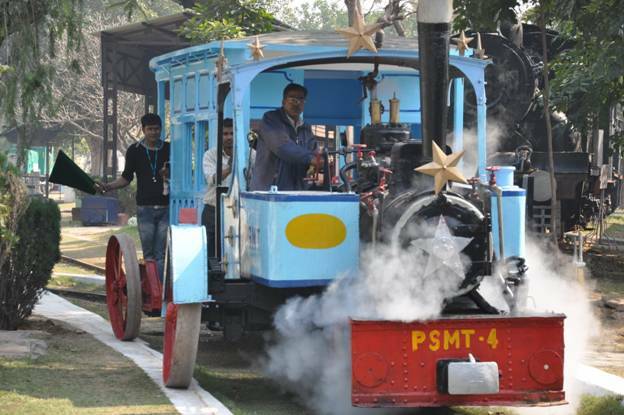 One important heritage attraction at National Rail Museum- a 108 years old monorail, which was used by Maharaja of Patiala Lt Bhupinder Singh, became operational on 11 January 2018. The National Rail Museum announced to start this heritage train on every Thursday for visitors. This monorail, hauled by steam locomotives, is one of its kinds in the world. National Rail Museum (NRM) is the focus of Rail heritage of India, a source of fascination and interest in railways for all. The Museum promises to take the visitors on an exciting journey into the Railway history and heritage and depict their contribution to the industrial and economic progress of the country.